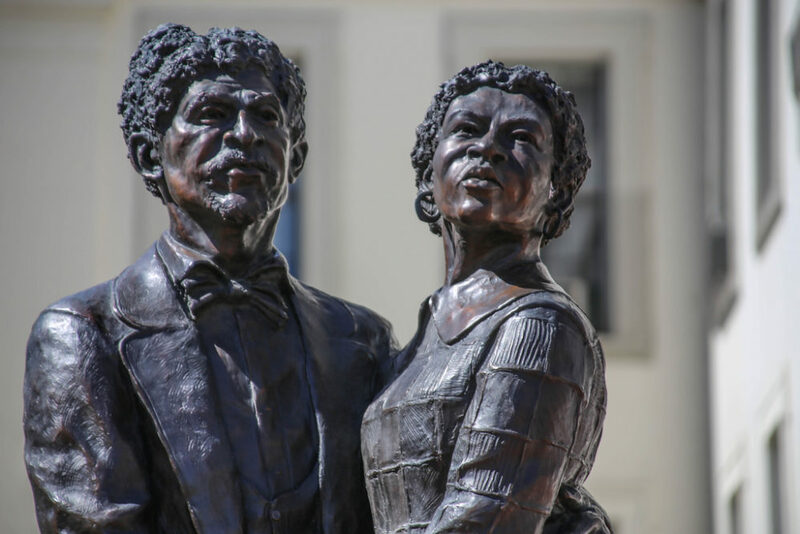 Are Republicans ready to become the party of Dred Scott? I ask, because that's what Michael Anton wants President Trump to make it look like. Are Republicans ready to become the party of Dred Scott? I ask because that’s what Michael Anton—a conservative intellectual, former Trump administration official, and fanatical supporter of the president—advocated in the Washington Post. Even worse, he implies that Trump should do it by executive fiat, in defiance of the Supreme Court. This is not just intellectually and morally bankrupt. It would spell disaster for the Republican Party by making it de facto what the Democrats have long wanted it to be: the party of white people—and only white people. Anton’s op-ed is an argument for eliminating “birthright citizenship,” the provision from the Fourteenth Amendment (with roots going back much, much earlier) that states children born in America are automatically citizens, even if their parents were not. Anton’s argument against this, borrowed from a 2015 article by Edward J. Erler in National Review, is based on a blatant lie. Anton tries to put over on us a strange parsing of the Fourteenth Amendment. The amendment’s very first sentence, knows as the Citizenship Clause, reads: “All persons born or naturalized in the United States and subject to the jurisdiction thereof, are citizens of the United States and of the State wherein they reside.” The clause extends birthright citizenship to anyone born in America who is “subject to the jurisdiction thereof,” which raises the question: who is not subject to that jurisdiction? But wait, what is that word “or” doing there in brackets? It certainly changes our reading of the statement. With the “or,” we get the impression that “foreigners, aliens” are one category and “families of ambassadors” are another category. Without that extra word, the more logical interpretation is that there is only one category, and “families of ambassadors” is the most exact description of that category. It certainly is not the smoking gun quote Erler and Anton want it to be. Yet the “or” is their addition, summoned up solely for the purpose of leading the reader to the conclusion they want. They changed the quote to make it say what they wanted it to say. There’s much more here, and as an antidote to this absurdity I suggest you read an in-depth examination from James Ho published a while ago here in The Federalist. It’s an excellent draft of an utterly convincing brief should this issue ever come before the Supreme Court. That is the context that takes Anton’s argument from his own crackpot notion to a form of suicidal insanity applied to politics. Anton advocates that President Trump eliminate birthright citizenship by an executive order that would “specify to federal agencies that the children of noncitizens are not citizens.” Given Trump’s longstanding anti-immigration agenda, he just might listen to this advice. But when you look at the clear-cut arguments about the original meaning of the Fourteenth Amendment, not just Anton’s idiosyncratic inventions, it is certain that any such executive order would not survive a Supreme Court challenge. I am confident that it would be struck down by a 9-0 ruling, including Trump’s own appointees. So this is a purely symbolic and emotional gesture. But if it is a doomed, futile, gesture, what is the symbolism that it actually conveys? Those who know the history of the Citizenship Clause—and if they don’t, you can bet they will be reminded of it—know that it was drafted after the Civil War specifically to reverse the pre-war Dred Scott decision, in which the Supreme Court ruled that black slaves did not count as U.S. citizens. So an attempt to reverse birthright citizenship will be seen, with some justification, as what Ho calls “Dred Scott II.” Anton’s proposal will be overwhelmingly interpreted as a declaration to black Americans that the Republican Party—the party that drafted the Fourteenth Amendment in the first place—now does not see them as equal citizens. Moreover, objections to birthright citizenship in the original congressional debates centered on attempts to exclude the Chinese, and one of the Supreme Court’s landmark decisions embracing birthright citizenship, United States v. Wong Kim Ark, was a ruling in favor of a man born in the United States to Chinese parents. So Anton’s proposal will also be taken as a declaration that the Republican Party doesn’t see Asian-Americans as equal citizens. But most of all, given the number of Hispanic citizens who are children of immigrants, and given Trump’s scurrilous rhetoric about Hispanic immigrants, this would be a declaration to Hispanic voters that the Republican Party does not view them as equal citizens. In fact, it would be a declaration that Republicans don’t think many of them should be citizens at all—that they should be a permanent underclass of stateless people, living in a country that will never accept them. Sure, you could try to parse all of this finely, as Anton does, with explanations about how Dred Scott and Wong Kim Ark were different, or about how they’re just trying to defend the law. You could dismiss all counter-arguments as bias and “fake news.” But then again, Anton has given us plenty of grounds to think that the conclusions above are warranted. In this piece, after complaining about people from China and Mexico “taking advantage” of birthright citizenship, he concludes that this will “debase” our citizenship. What kind of person thinks that his citizenship is automatically debased by being shared with someone of Hispanic or Asian heritage? What kind of animus does that reveal? This kind of disgust of the other exudes from Anton’s earlier writings, particularly his famous “Flight 93” essay in support of Trump, from back before the election when he was still berating other conservatives for their lack of courage while bravely writing under a pretentious pseudonym. The election, he wrote, was just like 9/11’s doomed Flight 93, a drastic last-ditch measure to save America against an apocalyptic threat. The upshot is that Anton is advocating that the Republican Party should position itself as a party that is against non-white people. I don’t care if this is what he intends (though we are all free to make our own guesses on that score). The point is that this is an obvious foreseeable consequence, in exchange for a measure that is not necessary for any practical purpose, would not stand, and would do nothing but damage the one nominally pro-free-market party. Then again, if Anton’s proposal is adopted, and widely embraced by Republicans, there may not be much left worth saving.